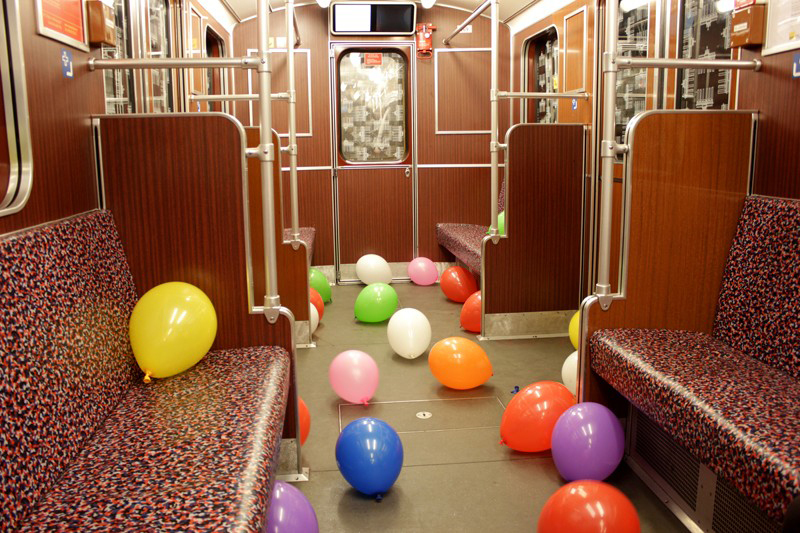 We hardly tried to make metro users happy. It worked a bit but not that much. Lot of different reactions, from pure fun to violent talk. Does mankind still know how to play together ? 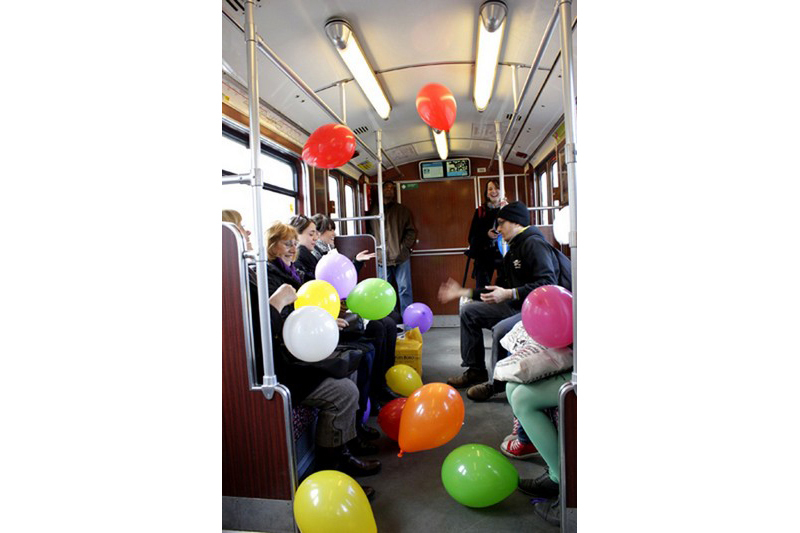 Does transportation has to be boring ? Des explosions et des sursauts donc. Des tentatives infructueuses de décontraction collective. Putain on a tenté mais c’était dur…alors imagine à Paris…les hommes ne savent même plus se permettre de jouer à la baballe ensemble. Merde. 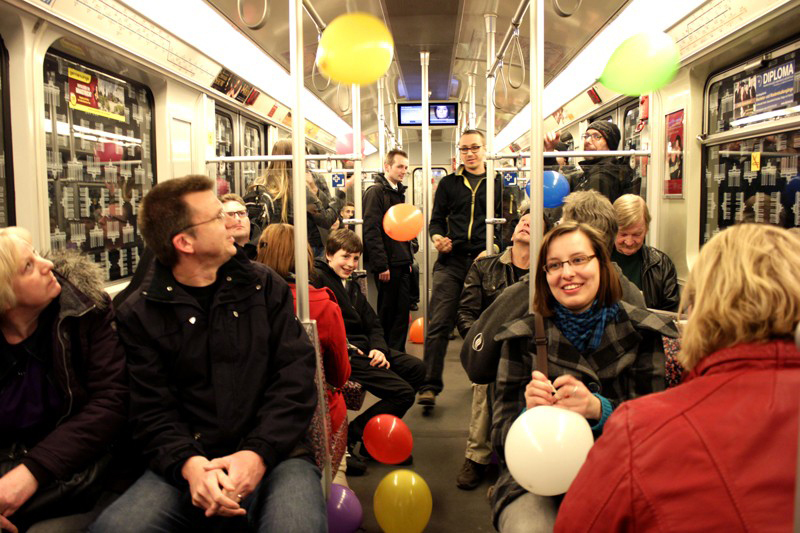 April 2012, 3 days, U-bahn, Berlin, Deutschland. 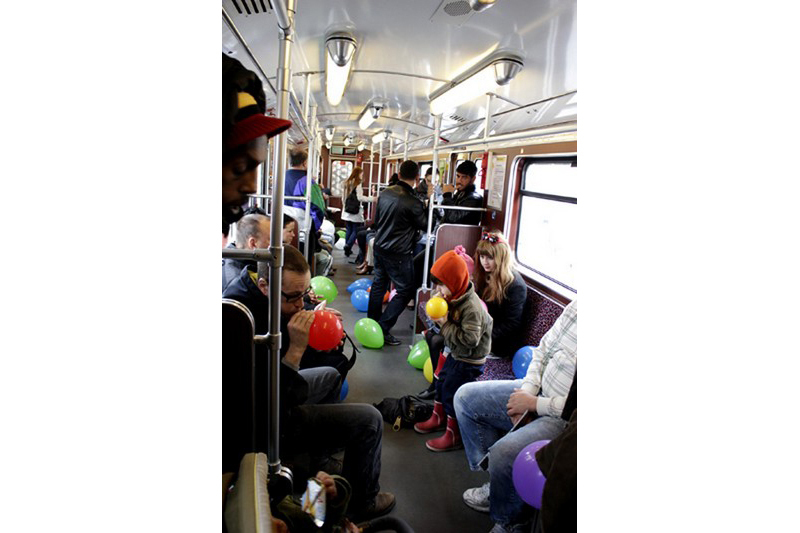 Device : inflatable balloons, transport network. 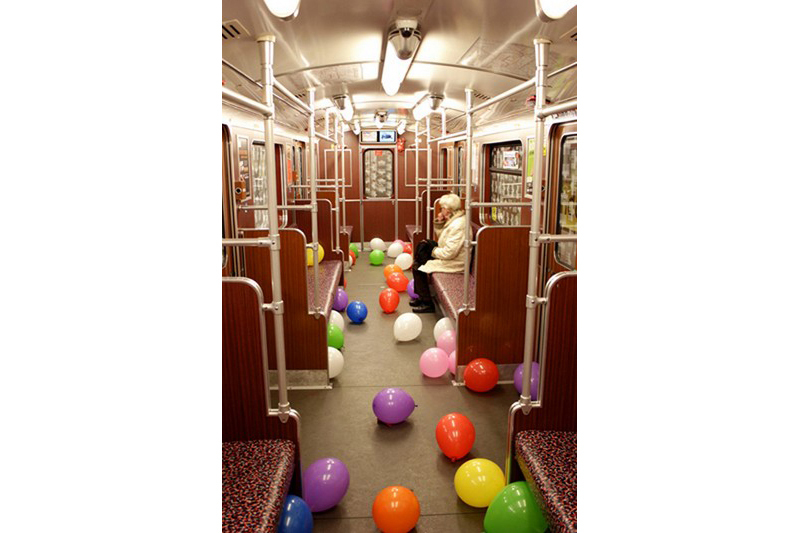 Facts : To fill a subway car with balloons. To play and to throw them to anybody.